Economics and power: A Marxist critique, London: Routledge, 2016. El mito del mercado global. Crìtica de las teorìas neoliberales (Prefacio de Toni Negri), Matarò: El viejo topo, 2008. Nicolàs Alberto Gonzàlez Varela, Moscacojonera, 21 aprile 2009. Ramòn Cotarelo, El càlculo del desastre, 23 febbraio 2009. Salvador Lopez Arnal, Rebeliòn (I), 13 luglio 2009. Salvador Lopez Arnal, Rebeliòn (II), 19 luglio 2009. Salvador Lopez Arnal, Rebeliòn (III), 28 luglio 2009. Salvador Lopez Arnal, Rebeliòn (IV), 29 settembre 2009. "Competition: A Marxist view", Vol. 41, N. 6, 2017, pp. 1559-85. "Power, competition and the free trader vulgaris", Vol. 40, N. 1, 2016, pp. 259-281. "The ontology of economic power in capitalism: Mainstream economics and Marx", Vol. 31, N. 4, 2007, pp. 539-61. "Anti-Williamson: A Marxian critique of new institutional economics", con Daniel Ankarloo, Vol. 28, N. 3, 2004, pp. 413-429. The economic debate on power: A Marxist critique, Vol. 21, N. 2, 2014, pp. 175-92. “Misconceptions of power: From Alchian and Demsetz to Bowles and Gintis”, Vol. 92, Summer, 2007, pp. 147-185. “Austrian economics and value judgements: A critical comparison with neoclassical economics”, con Sandye Gloria-Palermo, Vol. 17, N. 1, 2005, pp. 63-78. “Economic power and the firm in new institutional economics: Two conflicting problems”, Vol. 34, N. 3, 2000, pp. 573-601. “The convergence of Austrian economics and new institutional economics: Methodological inconsistency and political motivations”, Vol. 33, N. 2, 1999, pp. 277-285. "Post Walrasian economics: A Marxist critique", Vol. 80, N. 3, 2016, pp. 346-74. “Il mito del mercato globale. Reply to Ian Steedman”, Vol. 13, N. 2, 2005, pp. 121-31. “Are we all post Keynesians?”, Vol. 13, N. 1, 2005, pp. 145-62. “Uncritical history of economic thought. A critical review”, N. 2, 2002, pp. 155-65. 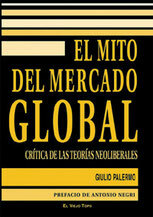 “Review of ‘'The economic theory of socialism and the labour-managed firm’ by B. Jossa and G. Cuomo”, Vol. 7, N. 1-2, 1999, pp. 265-72. “The socialist planning debate: A historical and analytical reconsideration”, Vol. 6, N. 3, 1998, pp. 115-150. “Economic power and the market process. A critique of the theory of convergence of Hayek and Kirzner”, Vol. 24, N. 22, 1998, pp. 49-77. In SVEDESE (tradotto da Daniel Ankarloo): “The market works! A critique of positive and normative contents of the Austrian theory” , N. 3, 1999, pp. 48-59. In INGLESE: Discussion paper N. 32, 1998, Dipartimento di Scienze economiche, università di Roma “La Sapienza”. “Non à la contre-réforme des 35 heures”, 4 février 2005. In ITALIANO (tradotto da Karl e Rosa) su Bella Ciao. “To what extent is the Austrian theory of capital Austrian? Böhm Bawerk and Hicks reconsidered”, con Sandye Gloria-Palermo, in The evolution of the market process, a cura di M. Bellet, S. Gloria-Palermo and A. Zouache, London: Routledge, 2004. “Do markets work? Critique of the Austrian theory of the market process”, (in russo), in Evolutionary economics and the mainstream, a cura di L.I. Abalkin and V.I. Mayevsky, Moscow: Hayka, Russian Academy for Humanities, 2000. In ITALIANO: “Funzionano veramente i mercati? Critica della teoria austriaca del processo di mercato”. In ALBANESE (tradotto da Besmir Skendaj): "Funksionojnë me të vërtetë tregjet? Kritikë e proçesit të tregut të shkollës Austriake"
In LAOTIANO: “Time series models” , in Topics in econometrics, a cura di Toshisha Toyoda and Chang Than, Vientiane: Laos National University Press, 2000. “Understanding the market process: The limits of the Austrian theory of knowledge and the role of economic power”, Discussion Paper N. 303, 2003, università di Brescia. “Légitimation du discours normatif de la tradition autrichienne : Une comparaison critique avec la solution néoclassique”, Document de travail N. 9, 2001, CREUSET, univeristà di Saint-Etienne. “Les jugements de valeur dans la théorie autrichienne”, Document de Recherche, N. 3, 1999, CREUSET, università di St. Etienne. “A study on exchange rate dynamics and market efficiency: Applications of technical analysis models to the Italian lira - US dollar exchange rate”, Discussion Paper, N. 28, 1996, Dipartimento di Scienze Economiche, università di Roma “La Sapienza”. “Bargaining as an institution: A theoretical investigation” (in collaborazione con Sandye Gloria), Working Paper, Gennaio 1996, LATAPSES, università di Nizza-Sophia-Antipolis.